Central Bank of Nigeria (CBN) Governor, Godwin Emefiele has urged Nigerian youths, especially students and young graduates to come up with innovative ideas that will transform them from job seekers to job creators. He also gave them the assurance that any such move would receive the full support of the apex bank. He said there is already N220 billion CBN initiative to support micro, small and medium scale enterprises (MSMEs); and a Youth Empowerment Development Programme (YEDP), which runs with banks and the National Youth Service Corps to enable graduates with entrepreneural acumen to access concessionary financing of up to N5 million for innovative and job creating ventures. Speaking in Nsukka Thursday as the Convocation lecturer for the University of Nigeria Nsukka’s (UNN) 47th Convocation, Emefiele said the unfriendly economic climate should not be sufficient reason for youths to be physically and mentally indolent; even as he charged them to reason and operate as leaders of tomorrow by converting their challenges to opportunities. He said: “A quick historical scan of other nations, especially advanced ones, will reveal that notable strides in economic and political development occurred during the period of great challenges. In the United States for instance, it is on record that 16 out of the 30 corporations that currently constitute the Dow Jones Industry Average started during economic downturns. “For example, Walt Disney Corporation was founded during the recession of 1923/24. Hewlett Packard Corporation began in 1938 during the end of the Great Depression and Microsoft was conceived during the 1975 recession. “These entrepreneurs and innovators didn’t wait for their government to give them jobs; they created jobs for the economy. It may interest you to note that some of the wealthiest persons on earth are entrepreneurs who began with modest start-ups. Among them are Microsoft’s Bill Gates, Amazon’s Jeff Bezos, Apple’s Steve Jobs and Steve Wozniak, Google’s Larry Page and others. They were creative and saw opportunities where others saw obstacles. “I’m sure that some cynics may say that these people succeeded because they are in the society where things work and where the government does a lot for the people. But you must also note that having graduated from a federal university, the government has also subsidized your education when you compare what is paid in private universities,” he explained. Emefiele also listed Nigerian entrepreneurs who succeeded from hard work and focus despite their little and challenging beginning to include: Aliko Dangote, Cosmas Maduka of Coscharis, Jason Njoku of iRoko TV, Obinna Ekezie who established wakanow.com and Iyinoluwa Aboyeji who at 26 has founded two globally successful companies and secured $24 million funding from Mark Zuckerberg of Facebook. 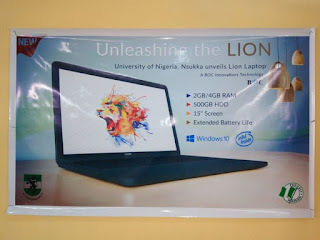 Also speaking at the end event, the Vice Chancellor of UNN, Prof Benjamin Ozumba disclosed that students of the school have started to produce laptops called “The Lion”, which he said will be mass produced and sold in the country once the right funding is received. 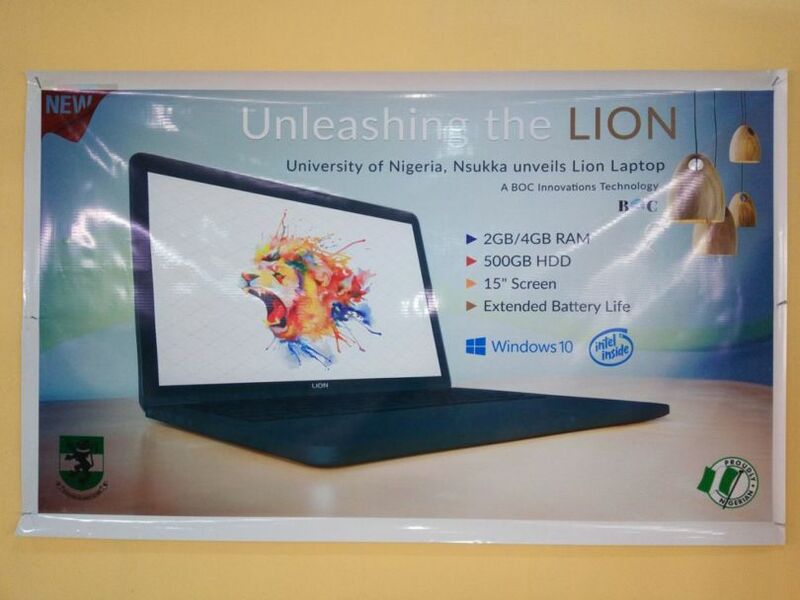 He suggested that the CBN used the UNN laptop assembly initiative as a model and pilot scheme for national computerization, digital promotion and facilitation intervention. Ozumba further revealed that the University recently signed a Memorandum of Understanding with a US-based multinational for the uptake of agricultural products produced within the institution in line with its innovative agribusiness project. “More so, the University has recently launched a tractorization scheme known as Higher Institution Tractorization Initiative which is targeted to be a national reference model where students will assemble, maintain and operate tractors with linkage to the communities to boost agriculture and food production in country. Nigeria is about the least tractorized country in the world today”, he said.